PLEASE GIVE US A CALL WHENEVER YOU NEED A TOW TRUCK OR A TOWING SERVICE IN NASHVILLE. Please remember that we are here to serve you. Here are the lists of towing services that we are providing. Remember that we are always ready to help you. Local Towing Service – We are going to assist you 24 hours 7 days a week. So you don’t need to worry if something happen whether it’s too early or too late. We can assist you in any kind of vehicles to be towed. 24 Hour Roadside Assistance – Need some help and it’s not about towing? No problem! We can assist you with your flat tires, unlocking doors or even with your battery, Whether It’s a small or big problem we are here to help you. Breakdowns – Your vehicles breakdown? Nothing to worry. We give all kind of assistance once you’re stuck on the road. Just give us a call and we go to your location right away. Accident Recovery – Wrecks and collisions happen with the most unwanted time – even if we give an extra care in driving. We can respond to the accident area in just a minute. Just give a call and let us know what assistance you’ll be needed and Nashville Towing be right there immediately. We’ll take care of your vehicle without worrying the whole accident details. Off-Road Recovery – Off roads is a lot of fun but you get in too deep. Wherever you are we can help you Just call us and we can even get to you using GPS. 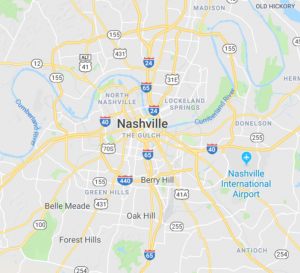 IF we did not get to you immediately just wait a little time and the #1 towing service in Nashville will definitely get into you. Winch Outs – slid on the road? Mud puddle deeper that what you are expected? Or something happen pulling up your boat? We covered you. Just give us a call and we’ll help you get out of the hole or even in the water. Make sure you have space between your car and approaching traffic. Raise your hood this will serve as a signal to incoming traffic. If it’s dark outside, turn on your inside lights . Make sure not to change tire when your not at the safe distance from incoming traffic. Make sure to not fix your car when facing incoming traffic. That is too dangerous. Nashville Towing is a family owned and operated towing and roadside service company proudly serving the surrounding central Tennessee area. Our trucks have become an icon on the streets of Nashville. We are a full service towing company that handles all kinds of roadside assistance, such as Light Duty Towing, Medium Duty Towing, Flatbed Service, Accident Scene Recoveries, Lockouts, Jump Starts, Parking Enforcement, and much more. Our rates are competitive, though not always the least expensive, we are fully insured and licensed to operate within the city of Fort Smith. We are aware that your vehicle is the second largest investment that you have, therefore we handle your investment as if it were our own.